Inlet and outlet valves make filter changes easy. 1000 miles after the install I cut open the coolant filter and there was about a teaspoon full of sand like material. I am glad that is not circulating in the coolant system anymore! I installed the coolant filter behind the bumper on the driver's side because I already had an oil filter installed at the upper right radiator area. 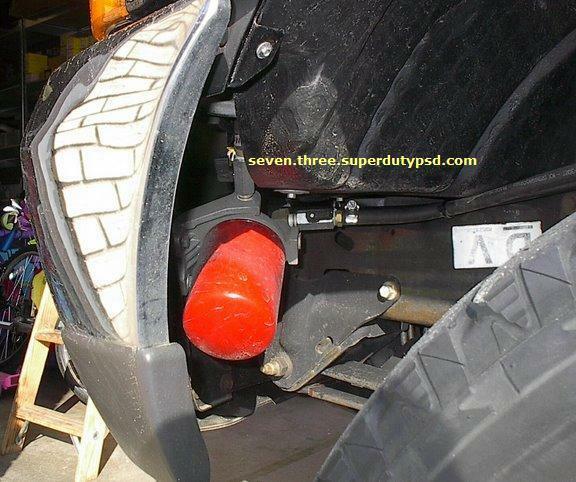 The location behind the bumper is not nearly as noticeable as it appears in this picture. The coolant filter base is a Baldwin model CFB5000 and the coolant filter is a Baldwin model B5134. 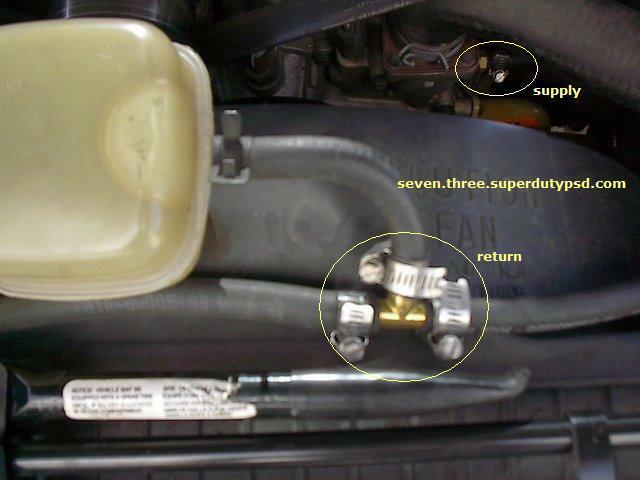 Below are the connection points to install the coolant bypass filter. It should be noted that installing it in this manner degrades heater performance in cold temperatures. Installed this way, the bypass circuit circumvents the thermostat. I installed valves at the filter base and shut the filter off during winter months. The valves also make it easy to change the filter. At some point in the future I intend to plumb the return line into the heater hose, this will eliminate the thermostat issue. Below is a picture of the dissected filter. This is my third filter change and I have filtered the coolant for 25,000 miles. This filter had about 12,000 miles on it. Note the small amount of grit in the canister and on the filter element. 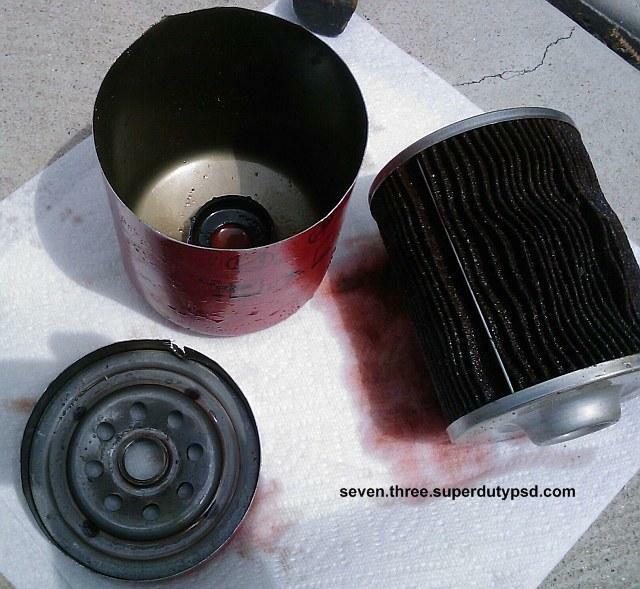 It is much better now, after 25000 miles, and I will probably not replace the filter again for a couple of years.